If the person accosting you has no identity card, or does not display either names or number on his Police uniform. “BE CAREFUL” that person may not be a Police Officer. Fighting crime is a collective responsibility Let us all make Abia State a better place. Directs or controls or presides at or takes in the worship or invocation of juju which is prohibited by an ordeal of the State Commissioner. 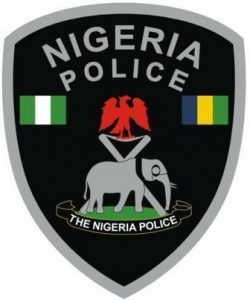 The Abia State Police Command has established a Public Complainant Bureau A22 essentially to monitor and regulate possible excessive conduct of some Police Officers with members of the public in the cause of discharging their duties. The Abia State Police command, poised in its bid to combat crime in all its entirety has embarked upon a publicity outreach, crime control and strategy for the benefit of residents, corporate organizations visitors to God’s own state. The aim is tobring to the notice of members of the public our response lines for the single purpose of ensuring co-operation from the citizens to enhance the eradication of crime in the state. Also, in case of distress, kidnap threat or any emergency this vital information will integrate all sectors in responding to all calls against armed robbery attack, medical, emergency, industrial and fire incidence, riots etc. To which residents, visitors, government, business premises and property in the state are exposed to. Inform your movement out of town to only trusted neighbors. Do not board a vehicle with two or more passengers inside, they may be armed robbers or kidnappers. Enter vehicle only at recognized motor parks. Screen your house helps or guards before employing them. While travelling long distances anytime it gets dark, check into the nearest hotel and continue the next day.�Do not open the door of your house to unknown person(s). Teach your house help and children same. Call any of the emergency number if you are not sure of any movement around your premises. Make sure there is some credit in your GSM sets at night you may need it to save your life or that of others. Do not keep huge sum of money at home. Staff before you open your door. Ensure to lock all doors and windows at night. Provide adequate security light in your house and business premises. Remove any object which can aid another into your house i.e Ladder, table, stools etc. Screen domestic staff before employment and obtain their photograph. Vary your routes to and from the banks. Call if there is any Emergency, distress or useful information.